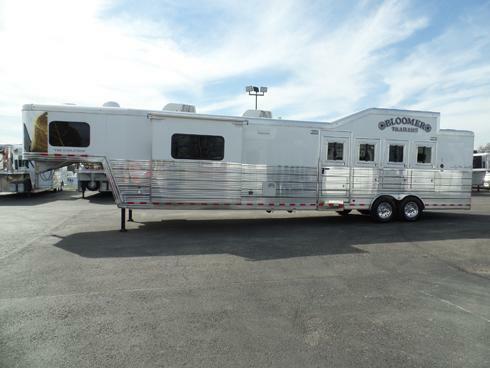 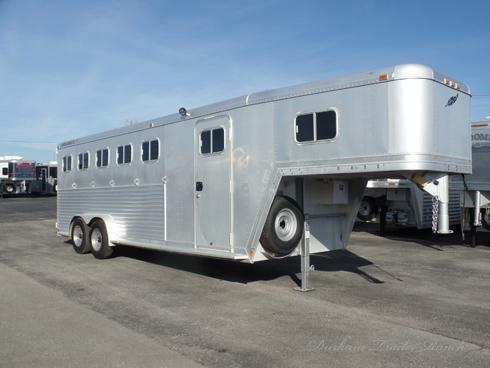 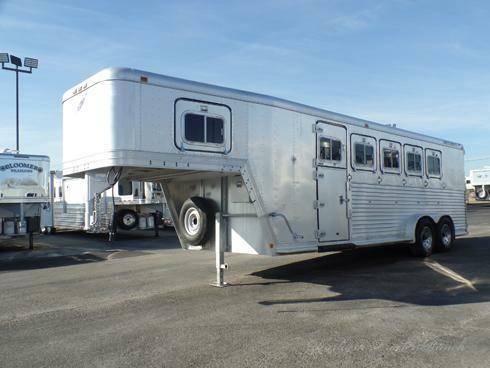 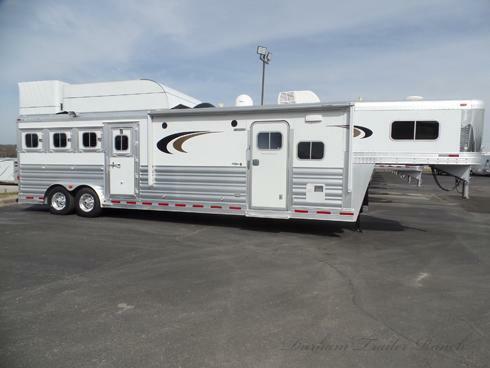 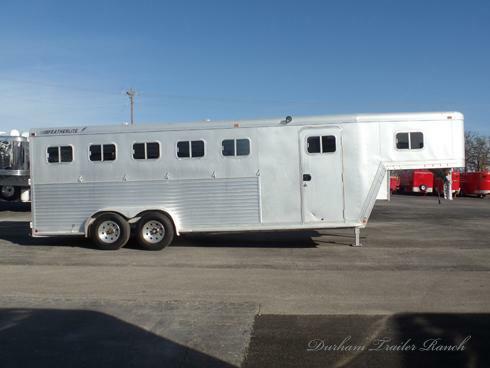 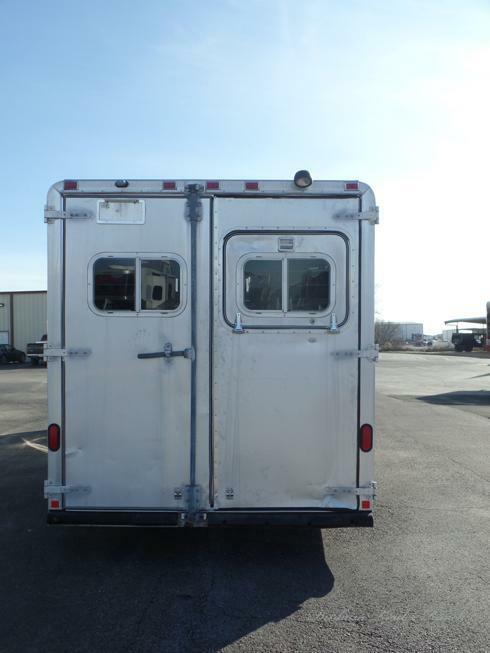 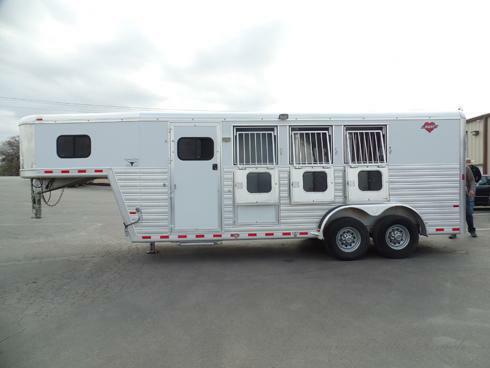 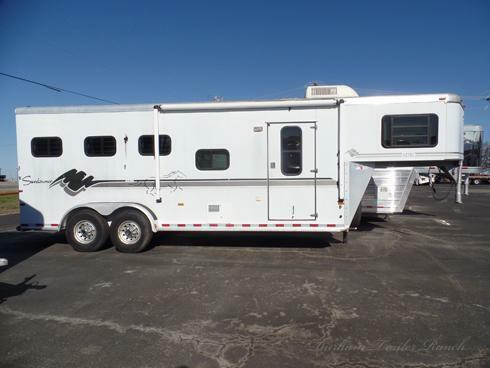 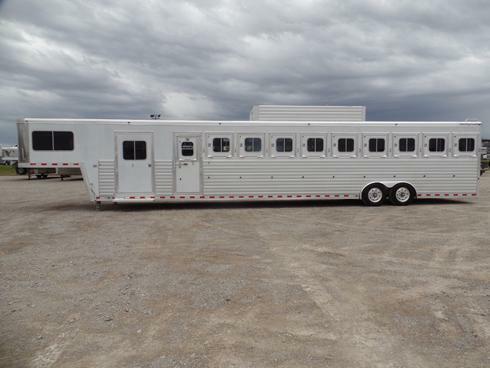 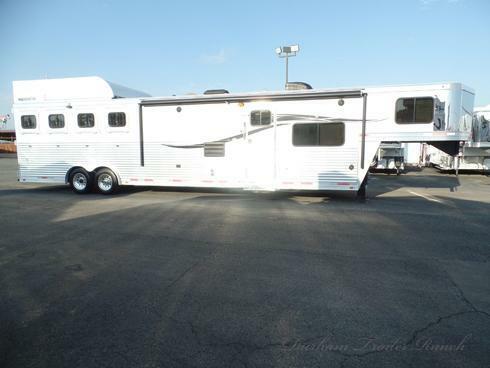 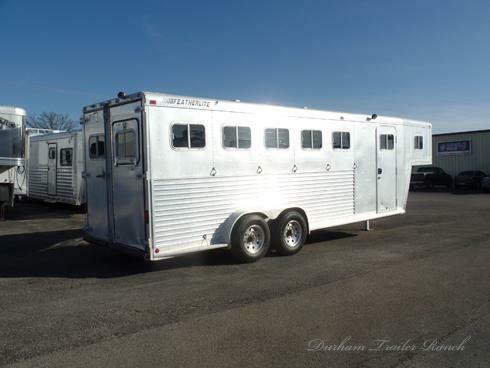 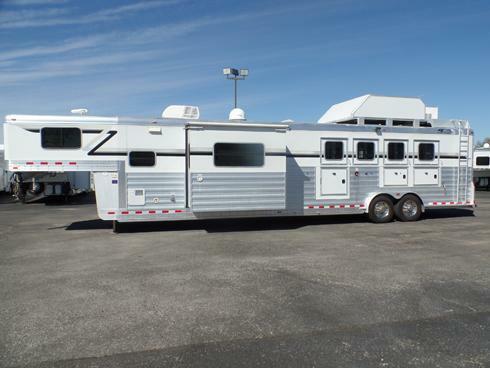 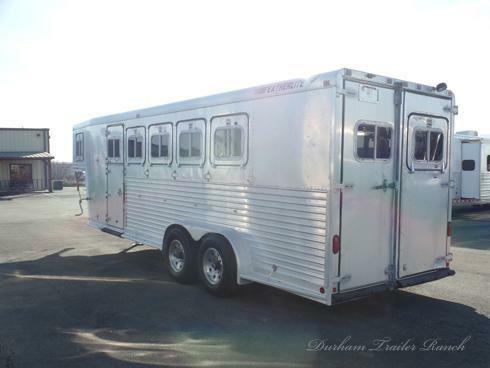 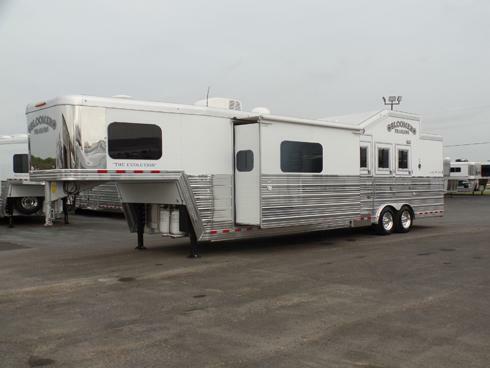 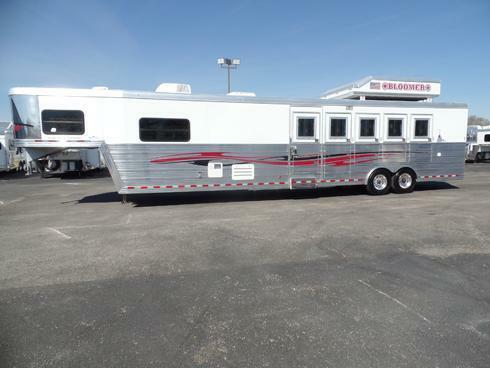 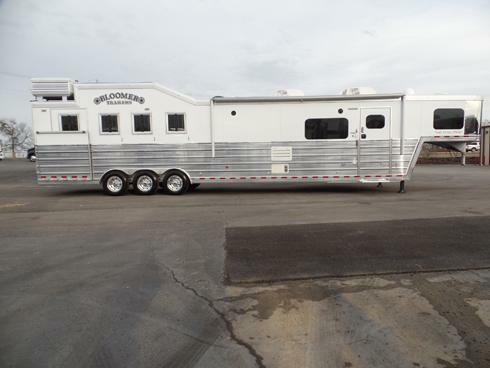 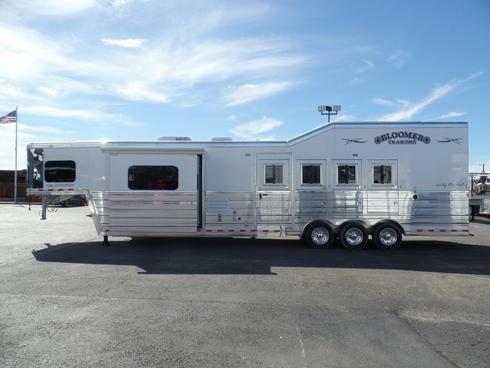 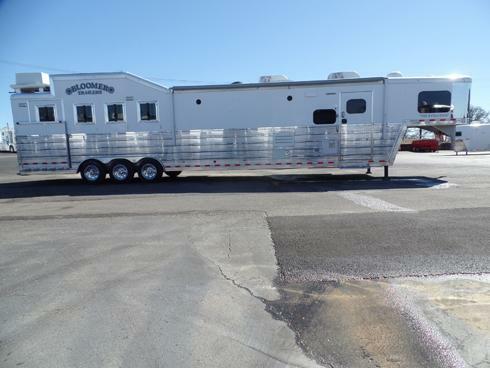 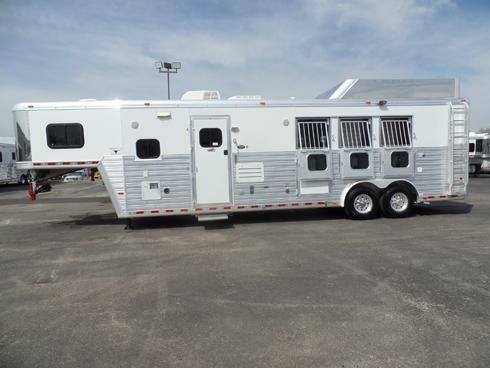 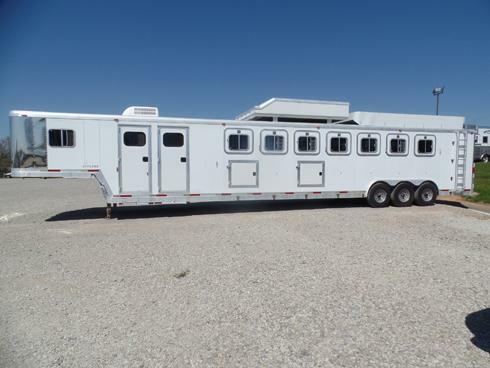 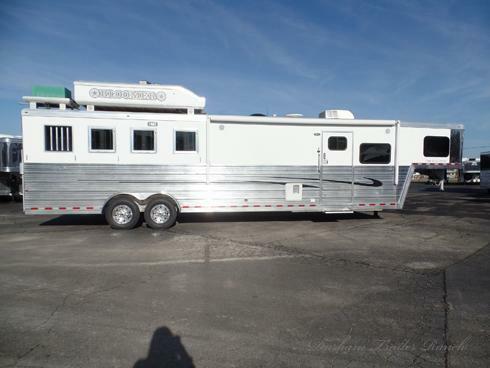 1992 Featherlite 5 Horse Trailer. 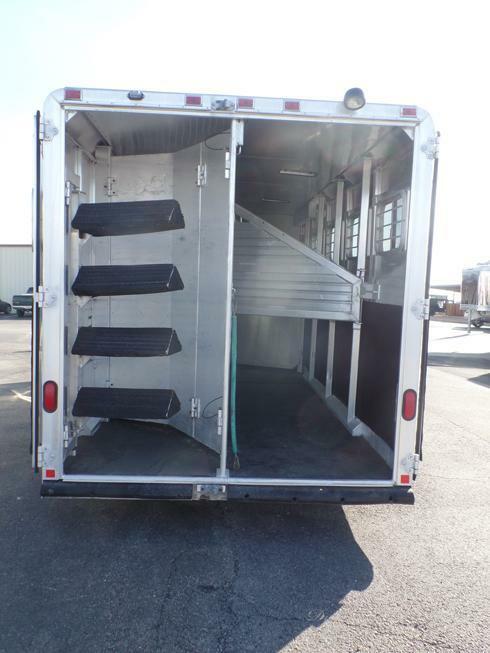 50/50 Collapsible Rear Tack with a 4 Tier Swing-Out Saddle Rack. 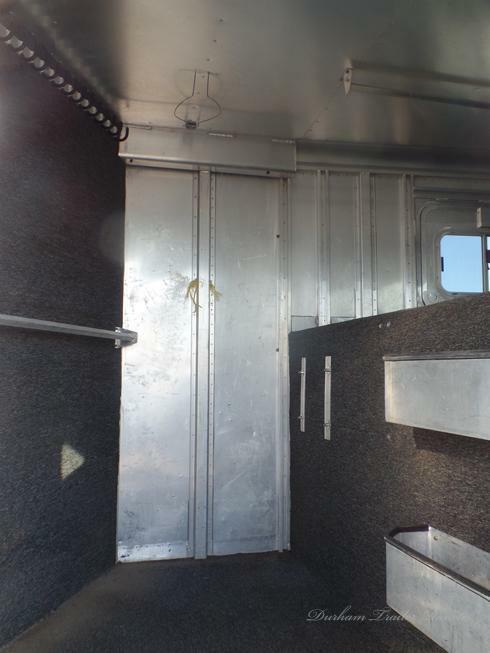 Drop Windows on Head with Bus Windows on Hip, Stud Divider, 5 Roof Vents, with Lined/Insulated Roof. 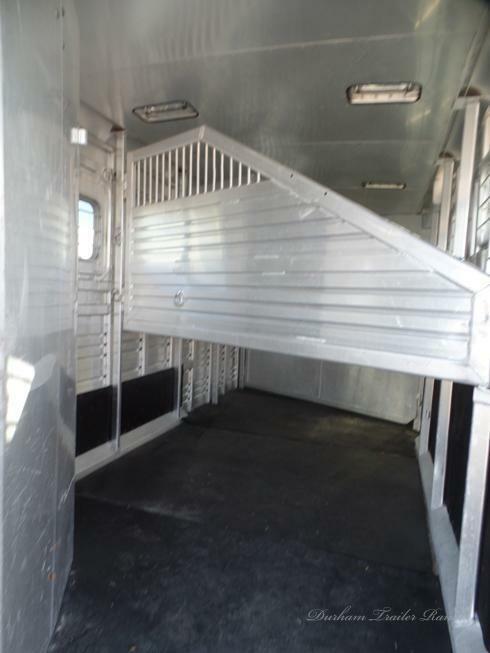 Front Dressing Room with Blanket Bar, Clothes Rod, 18 Bridle Hooks, 2 Brush Trays and a Hat Rack.